San Francisco District Attorney George Gascón has declined to press charges against a Giants executive who was caught on video in an argument with his wife earlier this month. Larry Baer, San Francisco Giants CEO, is currently on leave from his position -- a decision he announced in the wake of the video being aired by TMZ. In the video, Baer can be seen arguing with his wife in a public park in San Francisco on March 1 and then attempting to grab a cellphone from her hand. Baer's wife, Pam, falls out of the chair while clinging to the phone and can be heard screaming for help. 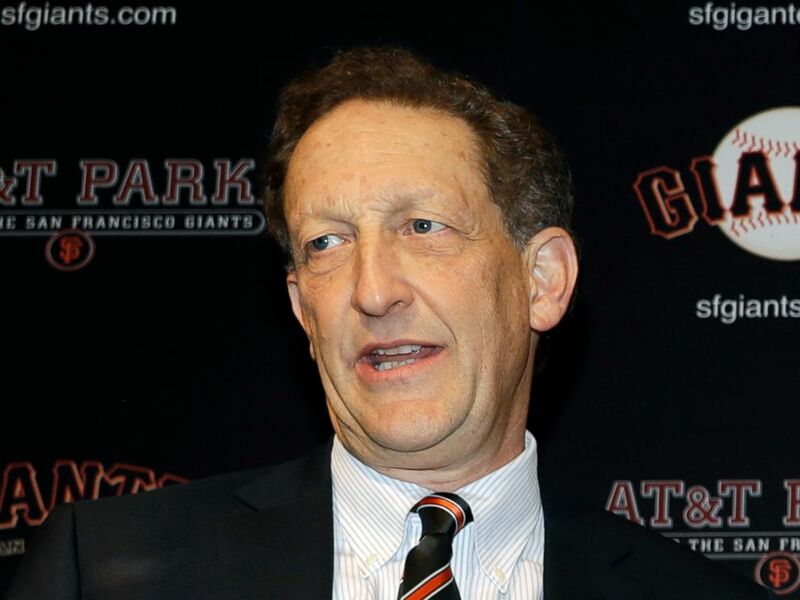 In this Jan. 19, 2018, file photo, San Francisco Giants President and CEO Larry Baer is shown during a press conference in San Francisco. Prosecutors could not prove a crime was committed. They looked over evidence, videos, statements from witnesses and comments from those involved and there was not enough to support filing criminal charges, per the district attorney's office. The Major League Baseball commissioner's office is still looking into the incident and could punish Baer. The league did not comment on the district attorney's decision not to press charges. "We are holding off commenting until the Commissioner's review is completed," MLB said in a statement to San Francisco ABC station KGO. "When the incident first occurred involving Larry Baer and his wife, the San Francisco Police Department immediately began an investigation," Breed said in the statement. "That investigation is ongoing, but regardless of the outcome, Major League Baseball needs to send a message that any and all acts of violence against women is unacceptable." The statement added, "Every little girl, every woman should be able to attend a Giants game with a clear sense of the organization’s values. I share in the call to action by the women who have written the Commissioner calling for greater accountability. There must be a stronger public reaction and response to violence against women in our City and our country." 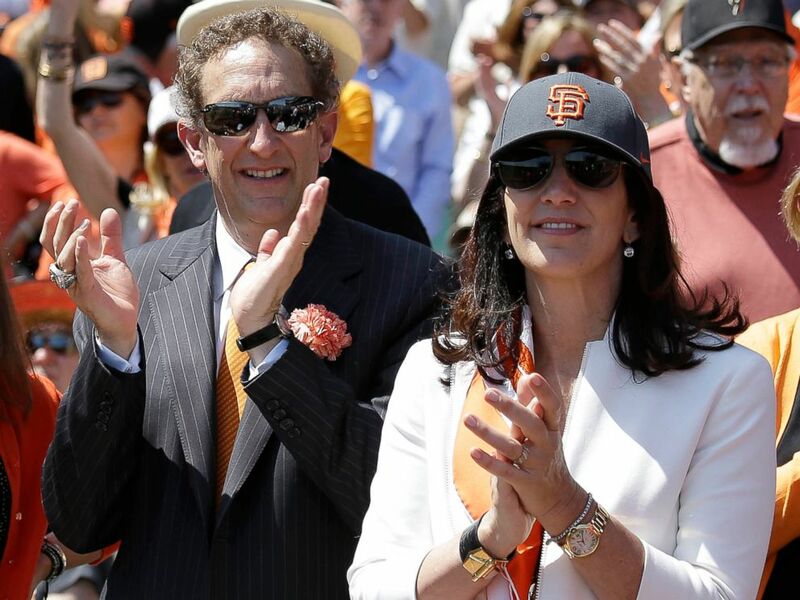 In this April 8, 2014, file photo, San Francisco Giants president and CEO Larry Baer, and his wife Pam, applaud before an opening day baseball game against the Arizona Diamondbacks, in San Francisco. Baer apologized for losing his temper and said his behavior was "unacceptable." "Mr. Baer has acknowledged that his behavior was unaccetpable, apologized to the organization and is committed to taking steps to make sure this never happens again," the Giants said in a statement earlier this month. "He has also requested, and the Board has accepted, his request to take personal time away from the Giants beginning today." "I would like to clarify the events of today. My husband and I had an argument in public about which we are quite embarrassed," she said in a statement provided to ESPN on March 1. "I took his cell phone. He wanted it back and I did not want to give it back. I started to get up & the chair I was sitting in began to tip. Due to an injury I sustained in my foot 3 days ago, I lost my balance. I did not sustain any injury based on what happened today. Larry & I always have been & still are happily married."